Request a copy of CXT's catalog brochure, which contains information on 24 different Restroom/Shower/Concession and Storage buildings. CXT will also send a CD with detailed specifications, AutoCAD drawings and pictures of the features and options of each building. CXT provides all the information you'll need to make an informed decision on your next restroom purchase. The new Mobile WaterLink® Spin Touch™ code 3581 water analyzer was voted "Best New Product" at the 2016 International Pool Spa Patio Expo in New Orleans. The photometer was designed to be used on site by pool operators and service professionals. The precise WaterLink® Spin Touch™ with centrifugal fluidics photometry can measure 10 different tests in just 60 seconds. Visit www.waterlinkspintouch.com to request a brochure. 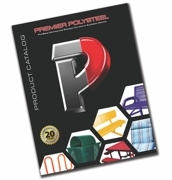 The Premier Polysteel 2017 catalog is here. Beautiful site images and customer testimonials describe why Premier Polysteel is able to offer a 20-year warranty. The PVC-coated steel outdoor furnishings are sure to last a lifetime. View the extensive line of commercial-quality, durable products that are as beautiful as they are tough. You will be convinced that Premier Polysteel manufactures the best commercial outdoor furniture available. Period. Dri-Dek's anti-skid, self-draining surface keeps wet floors dry. It's perfect in locker rooms, showers, pool areas and saunas. Just snap the 12-by-12-inch interlocking tiles together to form a custom surface of any length, width or shape. Comes in 12 designer colors, and it's made in the USA. Visit the website for an instant brochure and free samples. Commercial-quality outdoor park, streetscape and campground products are what you'll find in the 2017 Pilot Rock Catalog from R.J. Thomas Mfg. Co. The Pilot Rock brand includes park grills, campfire rings, picnic tables, park and street benches, trash and recycling receptacles and lids, smoker waste receptacles, pet waste stations, lantern holders, bike racks, custom signs and banners, a full line of wheelchair-accessible products and more. Made in the USA since 1959. The Ultimate Outdoor Fitness Sourcebook from Greenfields is your number-one tool for creating a world-class fitness destination. Greenfields' Sourcebook profiles successful projects, showcases the many varieties fitness equipment available, and details some of Greenfields' most popular packages. Plan a unique gym that's social, accessible and free to the public. Call for the Sourcebook and other Greenfields' literature, including info on the School Incentive Program. DuMor's 2017 catalog features the new Table 484 to complement the Chair 483. DuMor is also rolling out the new, sleek side-door receptacle 287. DuMor has updated its prices, some reflecting lower costs on popular products. Be sure to request a catalog on the website today at DuMor.com. Shade Systems Inc. designs and manufactures high-quality, pre-engineered outdoor commercial shade structures and umbrellas that protect people and property from the sun's harmful ultraviolet rays at public facilities. The Ocala, Fla.-based company's permanent canopies, umbrellas and shelters are ideally suited for commercial pools, waterparks, restaurants, hotels and resorts, as well as municipal venues, such as public parks and concessions.